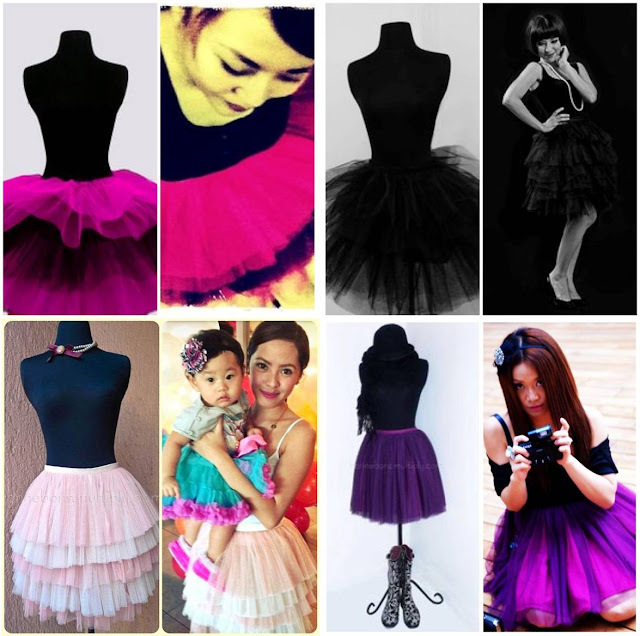 Whether you are looking for entourage outfits or you are attending a wedding yourself, tutus are just so fun and charming to see in weddings. Rebellious Bunch Bonne has expanded from creating head candies to also making these adorably sweet made-to-order Tutu Skirts with layers upon layers of hard or soft tulle in yummy colors. I started making tutus because I wanted one :) I was also inspired at the time by a photo of Louise Brooks wearing a tutu skirt. So I made one and started getting requests from friends and soon other clients online. Tutus are great for weddings because it is soft, feminine and playful. Wearing one just makes you want to twirl. I think bringing that light and happy vibe is great for weddings.